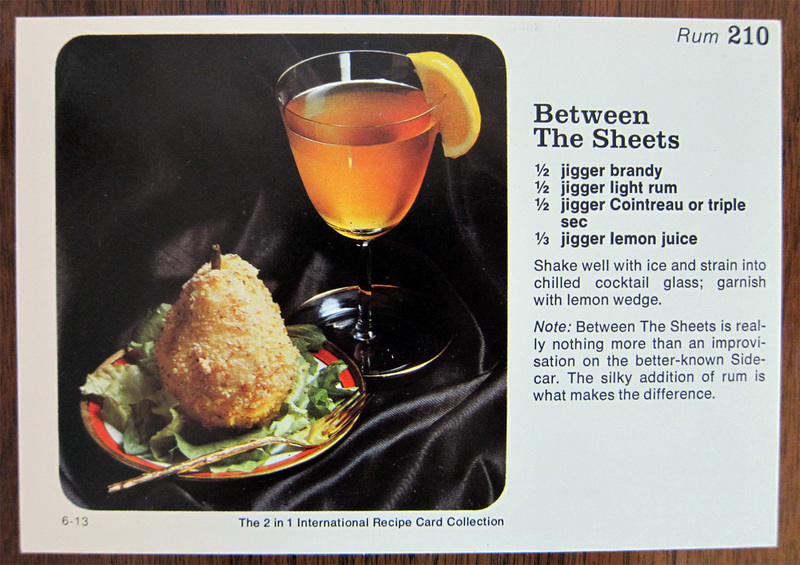 Shake & strain into a cocktail glass, garnish with lemon wedge. I skipped the garnish, because I am a naughty little minx. 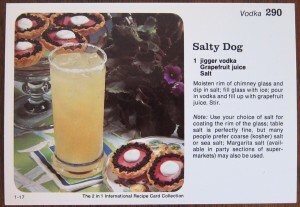 In addition to the Mount Gay Eclipse Silver, I tried making this with Banks rum. While Banks is a rum I enjoy, it brought too much funk; I’d stick with a straightforward silver rum. Of course I like it. 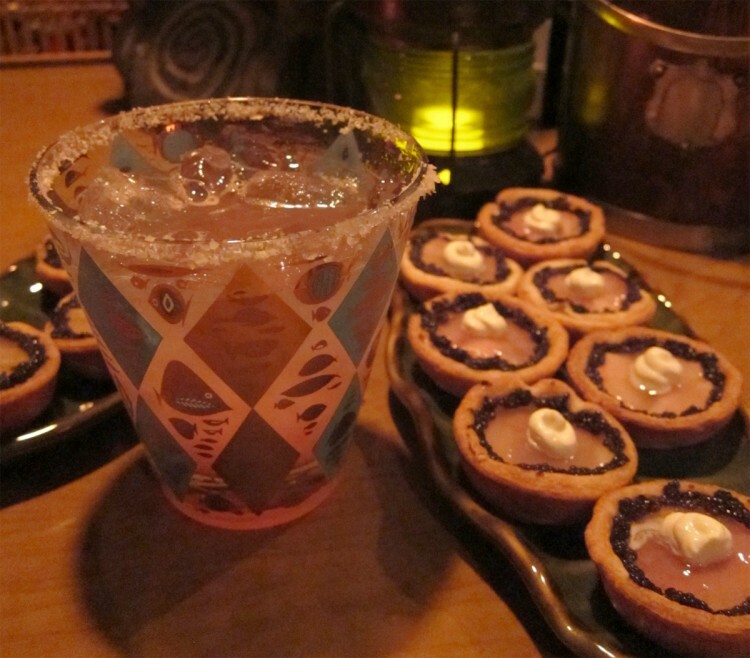 It’s a Sidecar with a bit of rum. I wasn’t going to not like it. 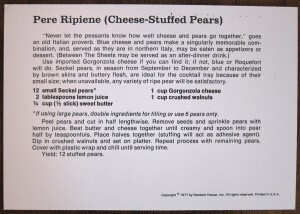 Peel pears, cut in half lengthwise, remove seedy guts. Blend butter & cheese together until creamy, spoon into pear halves. 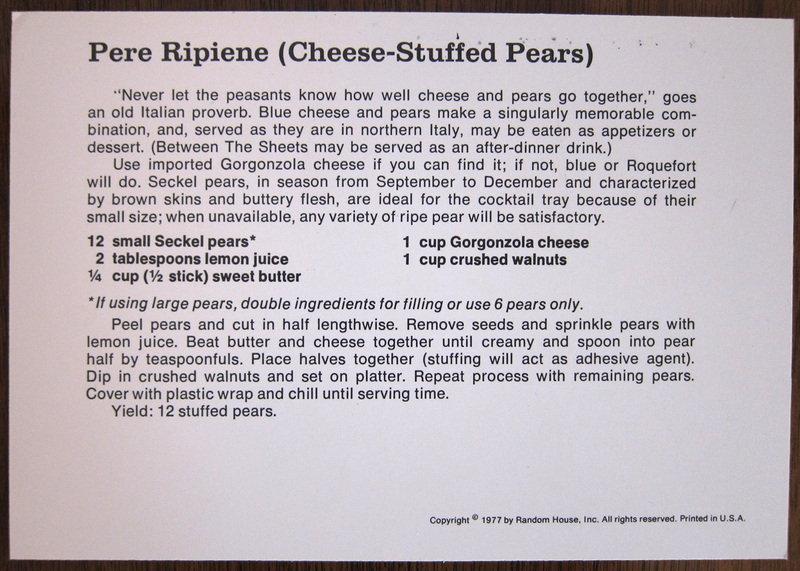 Place pear halves together, and cover with crushed walnuts. This was good! Really quick to throw together. I learned that the way to check the ripeness of a pear is to press your thumb into the neck, right against the stem. I wouldn’t know a Seckel pear if it bit me in the rear, so I went with Comice. I ground up the walnuts in a coffee grinder. I liked this quite a bit. Rich doesn’t dig Gorgonzola, and this was not the magical dish that converted him. I liked it enough to save it in Cookooree. 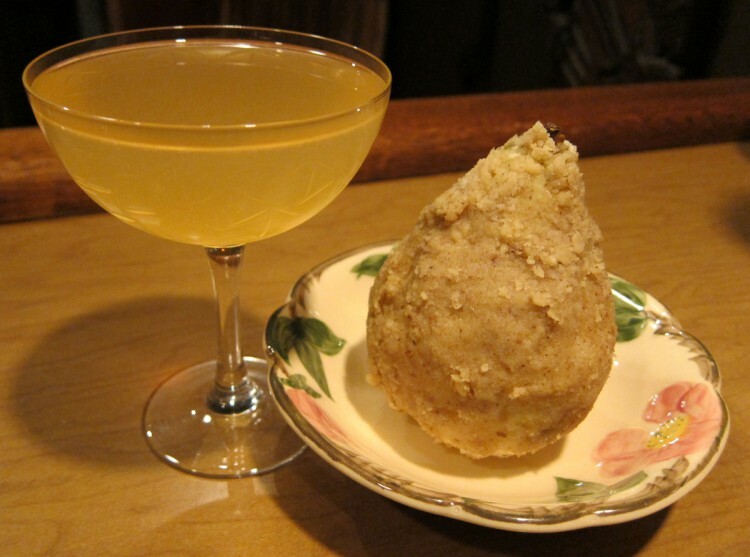 While we didn’t agree on the tastiness of the pears, we did both agree that the pairing with the drink was a good one. 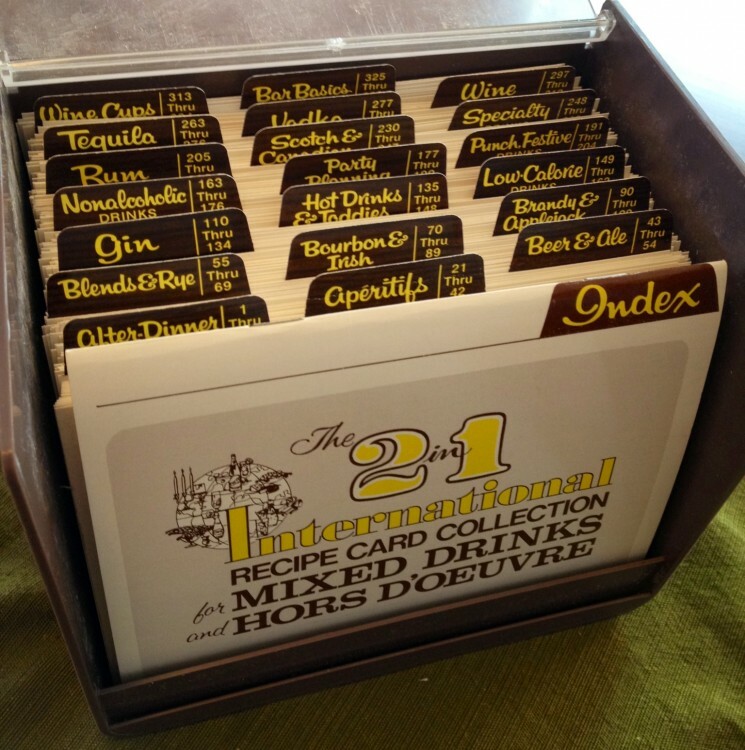 Here’s a thing that has my attention lately: The 2 in 1 International Recipe Card Collection for Mixed Drinks and Hors d’Oeuvre, which was published by Random House in 1977, with Michael Dorn (not that one) credited as author. 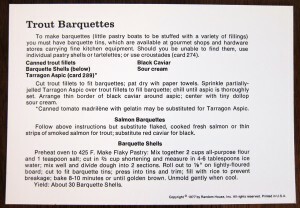 It’s a set of 300+ recipe cards, each one with recipes for a cocktail and a paired hors d’oeuvre, with full-color photographs. I learned about it from my friend Rochelle, who recently bought a bar & restaurant in our neighborhood, Doctor’s Lounge, with her partner David. They plan to use the cards to decorate the men’s room walls. When she showed it to us over brunch a few weeks ago, I fell in love instantly. It could not be more of its time; it is the Regal Beagle in a box. 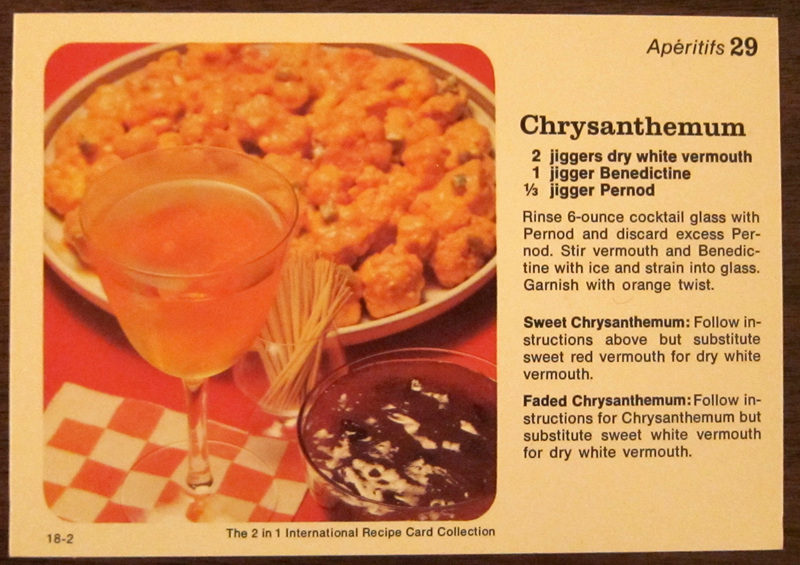 It’s a perfect Technicolor snapshot of how things were changing, cocktail-wise, in the ’70s. 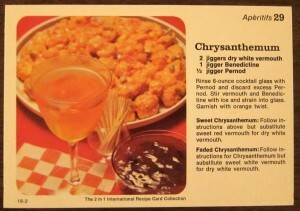 A great example is the recipe for the Clover Club cocktail: that it’s here at all is a pleasant surprise, and the recipe looks right… but what’s that floating in it? Is that a… no, it couldn’t be. A green cherry. Oh, dear. On the whole, the set seems to fall more frequently on the good side. 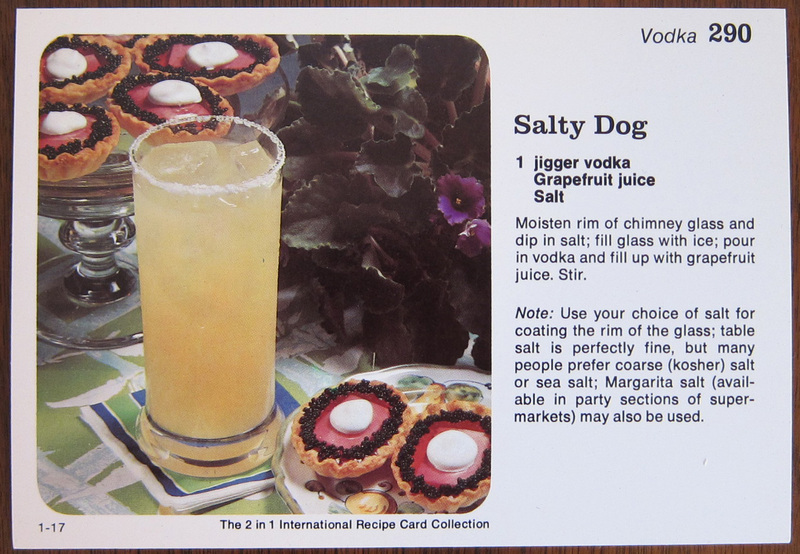 Naturally the first recipe card I checked was for the Mai Tai, and it is spot on, right down to the credit given to Trader Vic. 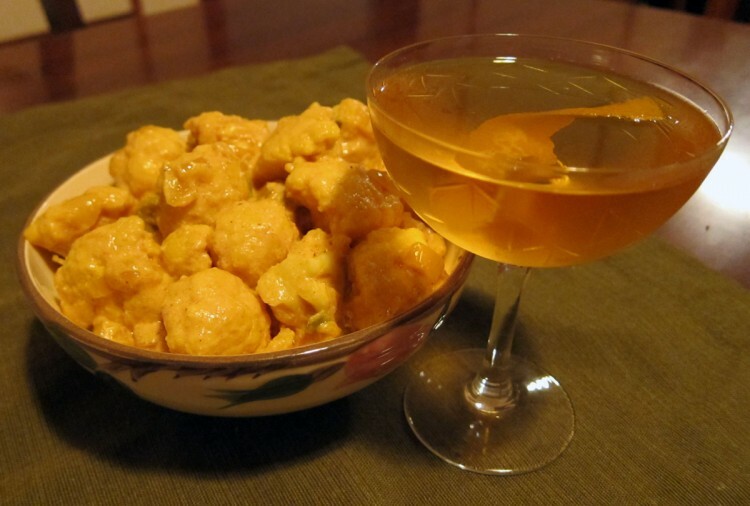 The paired hors d’oeuvre have all the charm of midcentury appetizers, only they look more edible. Sold! I had to have it, and thanks to eBay I’ve got one of my very own. 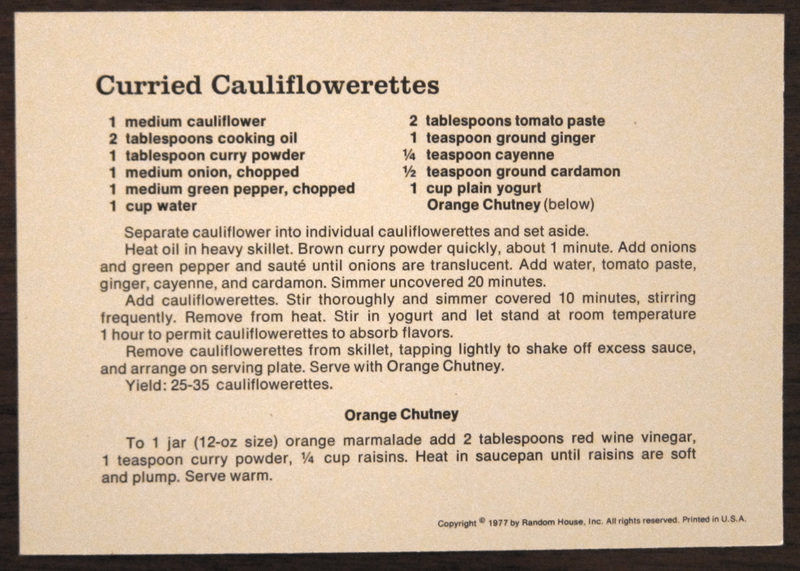 The first conversation that I ever had with Rich, beyond “nice to meet you,” was about his Joy of Cooking project. 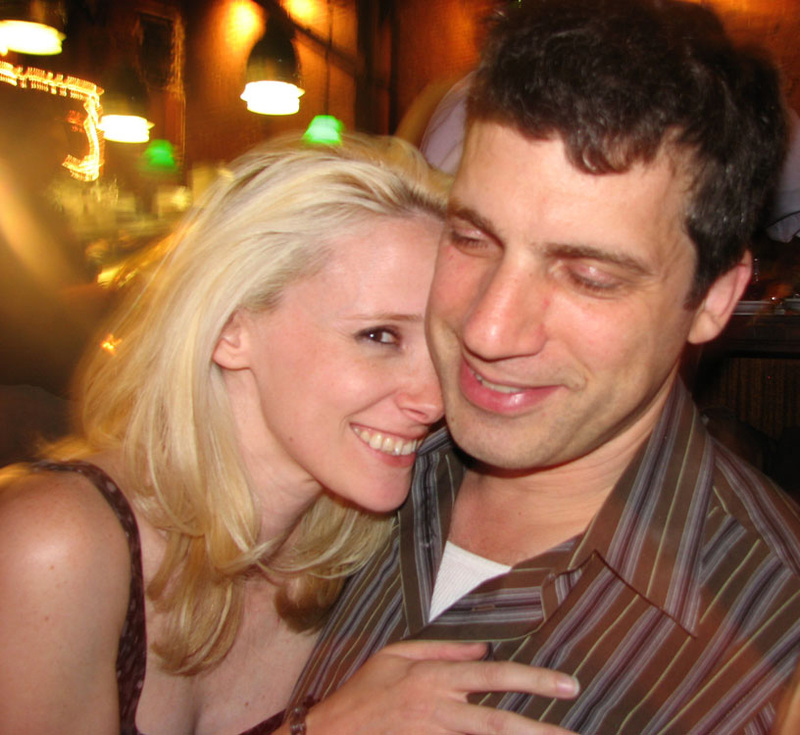 Our first date was a double date with Erik Ellestad and his wife Michele; Rich’s Joy of Cooking project was a major inspiration for Erik’s now-famous Stomping Through the Savoy project. 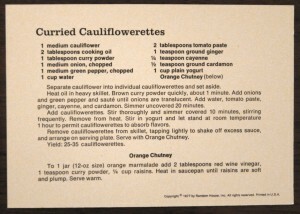 I briefly dabbled with making all of the salads in the Marysville United Methodist Women 1979 Church Cookbook, but mixing lime Jell-O with things like canned corned beef, cream cheese, asparagus and horseradish is just too gross to be sustained for the long haul. Maybe this could be my project? The Trotts love a system, and here’s mine: I’ve whipped up a little Ruby program, which I’m calling the Select-O-Matic until I come up with something better, that keeps track of which cards I’ve already made and randomly selects one for me to tackle next. If I’m not in the mood for what the Select-O-Matic has suggested, it’ll pick another one until I settle on one I like. If I want to select a card on my own, it’ll keep track of those, too. 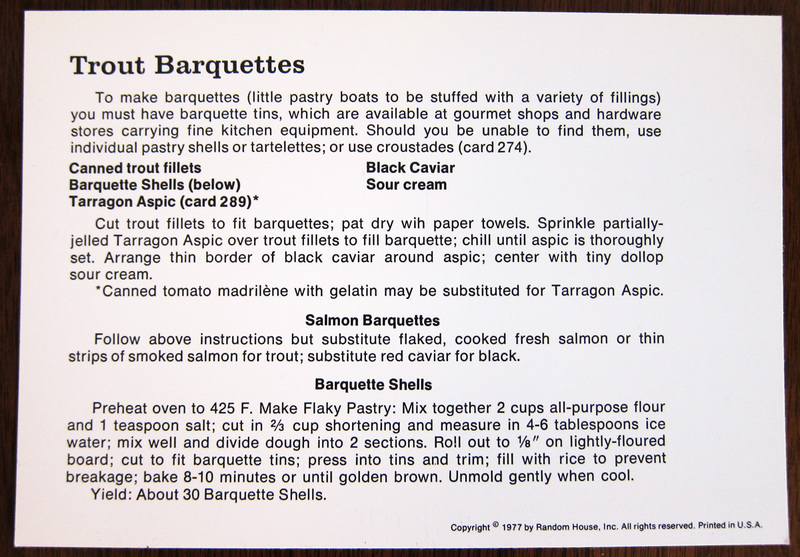 This recipe card set needs a better shorthand name, though, because “The 2 in 1 International Recipe Card Collection for Mixed Drinks and Hors d’Oeuvre” is downright terrible. Suggestions?